In October, we announced our NEW SPA MENU! With so many new facial services, we’re going to spotlight a facial service each month. From what to expect to benefits, we’re covering it all. This month we’re shining the light on the Dermaplaning Facial. 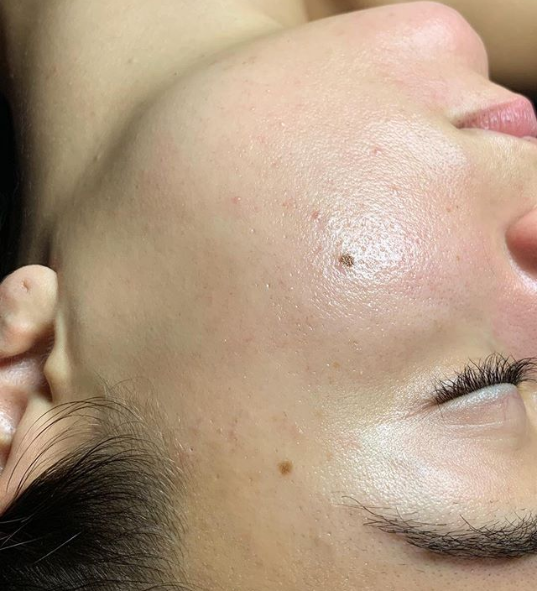 This 45-minute exfoliating treatment ($75) rids your face of all peach fuzz and dead skin, leaving you with an instant improvement in your overall skin texture and appearance. Products soak in better, makeup glides on smoother, fine lines are diminished. And you’re left with an immediate healthy glow. It’s no wonder this is a La Belle favorite! Your Dermaplaning Facial is customizable depending on your needs. For example, we have clients who get Detox Gel + Dermaplaning + Sensi Peel, or Detox Gel + Dermaplaning + Enzyme Peel. Here is a video of a client experiencing her dermaplaning facial along with Hydrojelly masque. You’ll discuss with your aesthetician your targeted concerns so you can choose the right peel (or masque) for you. For the dermaplaning part, a skilled aesthetician uses a surgical scalpel to remove the dead skin cells from your face. As the top layers of dead skin are being removed, so is peach fuzz, too. The Dermaplaning Facial gets rid of unwanted dead skin, fine lines and wrinkles, plus all that peach fuzz on your face. The end result: glowy, plus hair-free, smooth skin. And that also means dramatic results like these gorgeous before and afters. This client above had a dermaplaning facial with detox gel and enzyme. 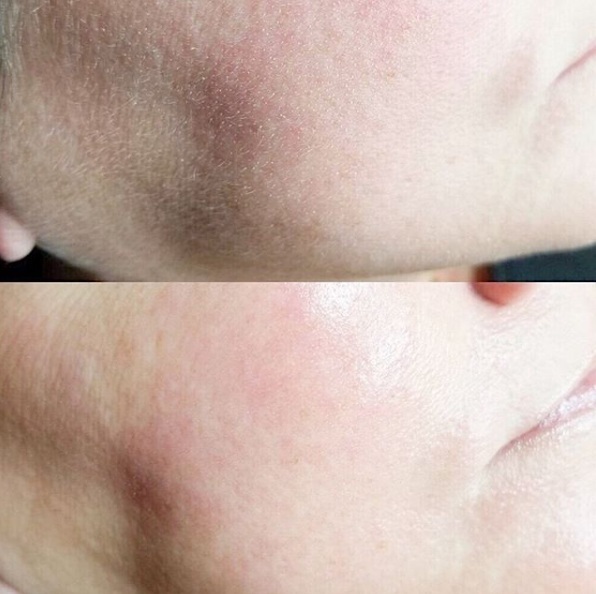 Look how it helped her congested rosacea skin. Here’s another after pic of a client (on the right) who had a Detox + Dermaplaning + Sensei Peel. 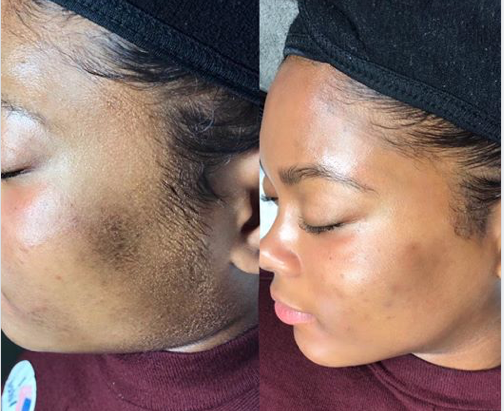 Look how gorgeous, smooth, and glowy her skin is. Get ready to glow with no downtime. While your face may be a little reddish, that will quickly subside. Typically you should get dermaplaning once a month, or before any facial service to achieve maximum results. To keep up the results from this facial, consult with your aesthetician to see which Sorella Apothecary products will be most beneficial for your targeted skin concerns. Prior to any facial treatment be sure to refrain from laser treatments, and no waxing for at least 48 hours. Give us a call at 302-656-0555, 302-378-8880 to book your facial service.